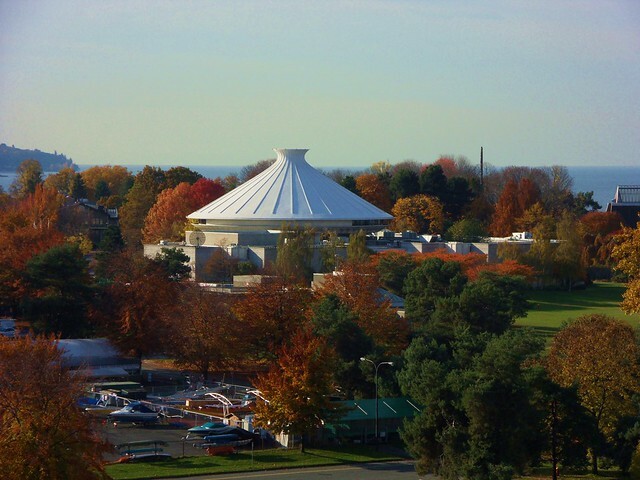 When searching for content for today’s Vancouver Icons or Vancouver History feature I put the word out on Facebook and user Raven Moon suggested posting about the Planetarium’s building. The Planetarium, officially known as the H.R. MacMillan Space Centre, is located in one of the city’s most recognizable buildings over in Kitsilano and is this week’s Vancouver Icons feature. 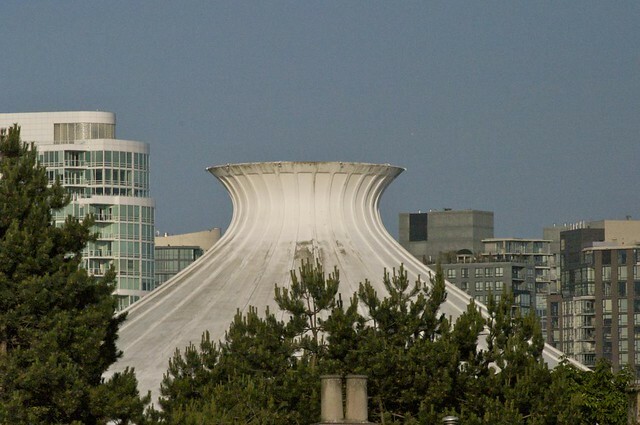 The building was designed by architect Gerald Hamilton who made the roof in the shape of a woven hat worn by Haida men and women. 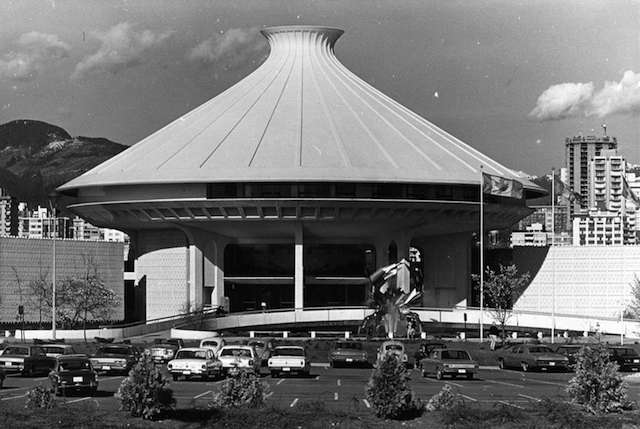 It opened in 1968 and was originally to house the The Centennial Museum, and the Vancouver Museum did move in at that time as well. Due to financial backing of lumber magnate and philanthropist H.R. MacMillan, the planetarium was added to the design of the building. Hamilton also designed the East Asiatic House in Vancouver, on Pender and Bute, as well as the Civic Centre and Frank Clair Stadium in Ottawa. 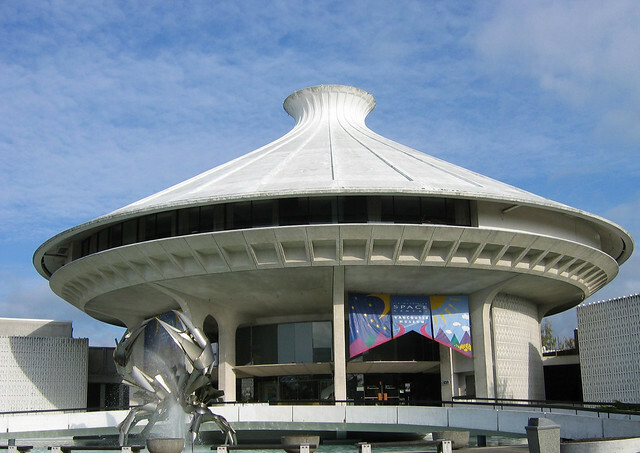 You’ll know if someone has lived in Vancouver since before the 1990s when they call the building the “Planetarium”. It was renamed the Space Centre in late 90s — with H.R. MacMillan prefixed to both names. 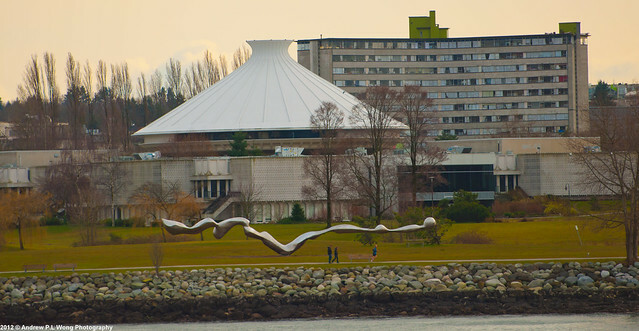 The Vancouver Museum was re-branded as the Museum of Vancouver in 2009. Each of these entities offers unique programming, events, and education on a variety of topics. Follow the H.R. MacMillan Space Centre on Twitter @AskAnAstronomer to find out more about activities in the building and in the outer reaches of the galaxy. Other Vancouver Icons posts include: Lord Stanley Statue, Vancouver Library Central Branch, Victory Square, Digital Orca, The Crab Sculpture, Girl in Wetsuit, The Sun Tower, The Hotel Vancouver, The Gassy Jack Statue, The Marine Building, and The Angel of Victory. Should you have a suggestion for the Vancouver Icons series please feel free to leave a note in the comments. It should be a thing, statue, or place that is very visible and recognizable to the public.